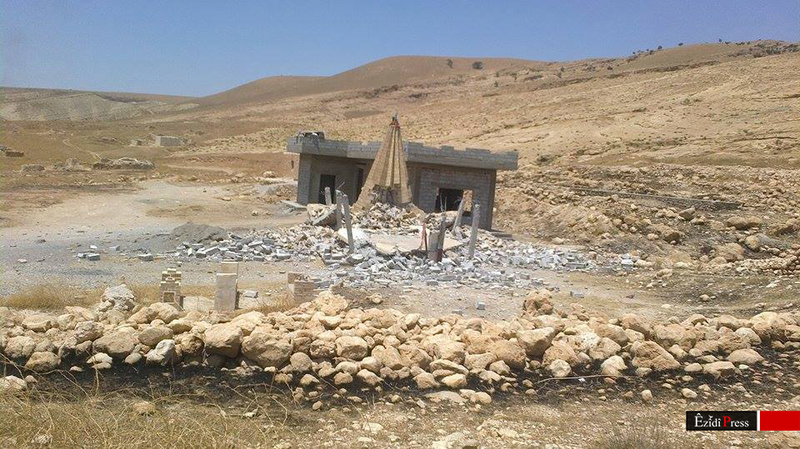 The Islamic State has long targeted Gabara in Shingal (Sinjar) in northern Iraq. And united forces of Yazidi/Yezidi Sinjar Defence Units (HPŞ), Kurdish Kurdistan Workers Party (PKK) and (Syrian Kurdish People’s Protection Unit (YPG)-trained) Yezidi Sinjar Resistance Units (YBŞ) have repeatedly repelled Islamic State forces. 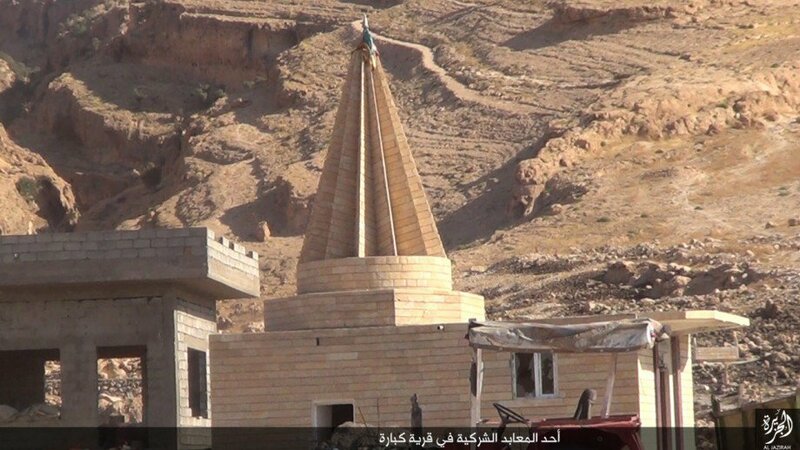 But, on Sunday, the Islamic State temporarily drove out the Yezidi defenders and occupied Gabara. 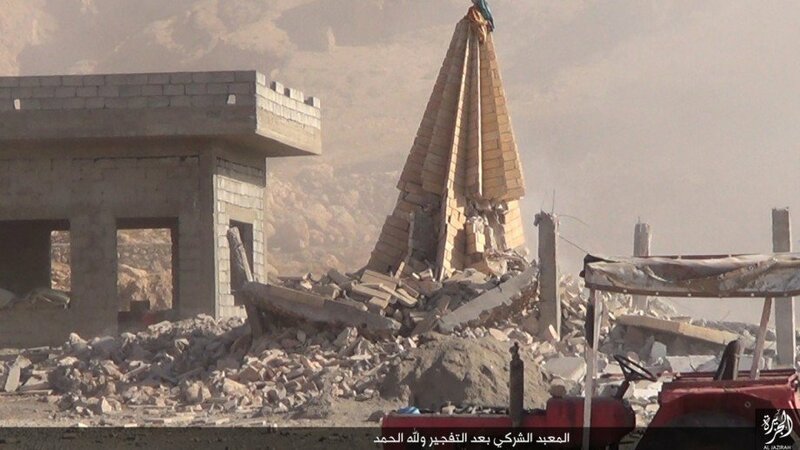 And, as Êzîdî Press reported, before their most recent rout by coalition air forces and Kurdish/Yezidi ground forces, Islamic State jihadists managed to destroy yet another Yezidi shrine. 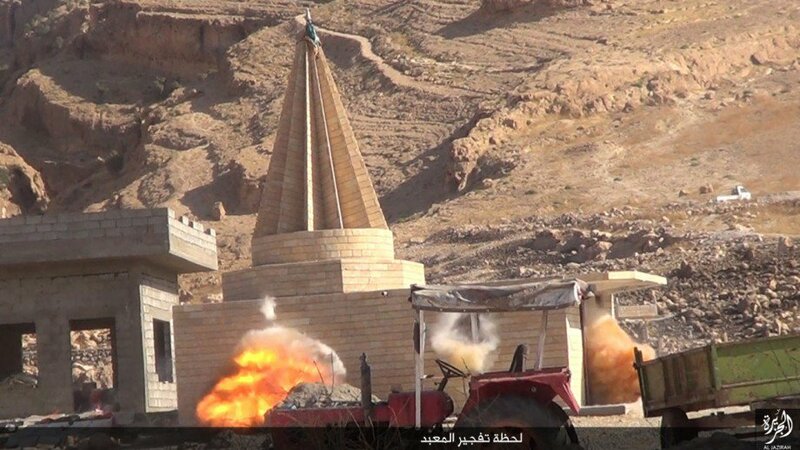 @oivej has pointed out the Islamic State’s propaganda from the time, which includes video frames of the destruction. The location you’ve identified is inaccurate. It is situated in Dohuk near the Turkish border, not in Sinjar. Thanks. That’s what I thought. Wikimapia said Dohuk. But the Êzîdî Press reports said that it was in Sinjar. I’ve fixed it. It could be that your coordinates are wrong. It would be improbable for ISIS to be so far east of the Tigris. Ah, that’s what you meant. Okay, ta.